• (2) Assembly instructions in the Operator’s Manual are skimpy at best but with a couple of false starts and interpreting the instructions, saw went together in about a day (I’m pokey). • (3) Turning it upright after initial assembly, takes a couple or three strong folks. 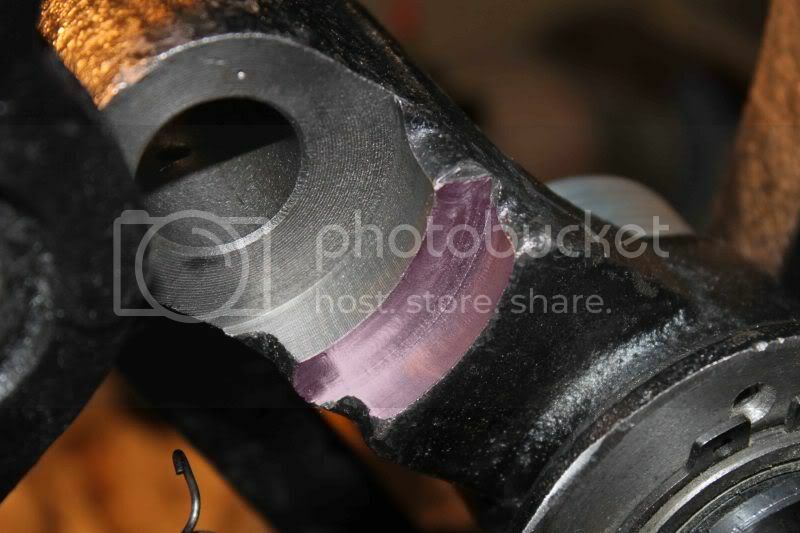 • (4) A loose motor/arbor belt, easily tightened once diagnosed. • (5) Blade alignment – see the “Unfortunately” paragraph at the end. • Main Table – Cast, finished nicely, and very true, miter slots machined just fine. The ‘brains’ of the saw. • Motor and arbor function – Very Good… Smooth, quiet, good power for rip or cross cut of up to 2” thick hardwoods. Didn’t have any larger stock to try, so jury is still out on the heavy stuff. This is (after all) a 115volt 1 ¾ hp saw, so wouldn’t expect it to feed thick oak very fast. • Blade – Just OK, but replace with a good one for precision work. The Freud and Rigid worked great for me. • Blade Access and arbor lock are excellent for blade changes. • Rip Fence – about 4-stars, not a Beis or a PM2000 but certainly adequate, aligned OK. Just make sure to seat the fence on the front rail consistently each time before securing with the handle. It’s very repeatable if done right. Installation of the fence rails was tedious due to bolt locations. • Arbor stops – Both the 90 and 45 degree stops adjustments are accessible from tabletop, but seemed a bit mushy. • Blade Inserts – Both single-blade and dado plates are provided. These are metal and the support ledge bosses are only 1/8” below the table surface so zero-clearance inserts are a little more trouble to install (have to be relieved for the support bosses). • Off/On Switch – nice, easily turned off with knee or leg. Downside: easily turned off if bumped or if switch cover allowed to fall back from lifted position. • Extensions = OK but sure would have preferred cast versus the powder-coated steel versions. • Blade Height/Angle adjustment – Worked OK but obviously not premium mechanisms. • Riving Knife – and OK does it’s job. Very nice adjustment mechanism to lower or remove it. • Blade Guard and Anti-Kickback Assy – Both work OK.
• Caster system – Outstanding! The 4 swiveling casters make it really easy to move. In the ‘down’ position on the rubber feet the saw is very stable. • Dust collection – Chute at the bottom with 4” port, worked very well and easy access to clean saw interior by just removing the rear panel. • Blade/arbor adjustment – this done via 4 (not 3 as manual says) bolts that hold the front and rear trunions to the bottom of the table. As noted by a couple of other LJS reviews, the socket bolt head diameter used here is too small and can be resolved by replacing those bolts with 10mm x 1.5mm x 30mm flange bolts. Without this change, the blade adjustment was nearly impossible. Unfortunately the saw I bought has a critical defect. Even after changing the trunion bolts, the horizontal blade alignment changes radically from the lowest to highest blade positions, as much as .080” at the rear edge of the blade with respect to the front of the blade. Changing the blade angle also changes the horizontal alignment, although less severely. 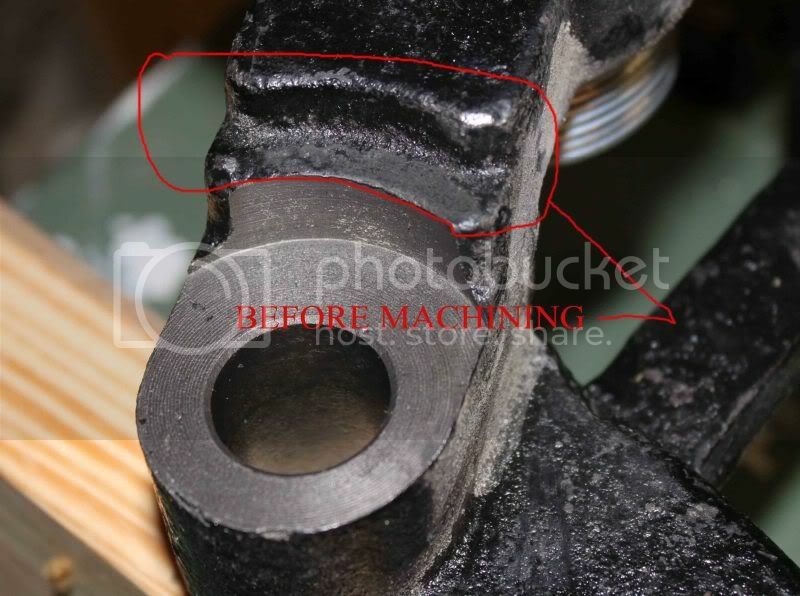 This condition appears to be caused by a casting or machining defect in the main arbor/motor assembly, and is not possible to correct with just arbor or trunion adjustment. Sears service when contacted was helpful and says this saw can be repaired within the 1-year warranty period, but after the 90-day return/refund period requires removal of the saw base and fence (and return to a service center) to allow them to ship it back for repair. At this point that’s way too much trouble, and I’m pretty sure I will just sell the saw as is and reinvest in a better quality unit. After all, the blade can be aligned very well at any single height, sort of like a stopped clock that’s right at least twice a day! If anyone has had any luck correcting this condition, I would sure appreciate knowing the solution. Thanks! I’ve never had much luck correcting any of the many problems I’ve had with Craftsman saws. I hope it works out better for you. I never usualy use craftsman tools. The sander I got from them is one of the worst I have used to be honest. I hope you have good luck with this saw. They wouldn’t allow you to return it or exchange it ? Does the showroom model do the same thing ? Other than wrenches and screwdrivers (hand tools), I’ve had no luck with any of their power tools at all. Dusty, No return or exchange since it’s past 90 days, but they will repair it if I bring it back in minus the legs and the fence. I just don’t feel like taking it all apart (again) and don’t have much confidence they would fix it anyway. Thanks for the suggestion on showroom model, but I think the local store sold the last one several months ago. Several followup posts addressed the same alignment issue experienced on mine. Phillbob noted that the blade alignment problem was due to a mismachined arbor support bracket pivot. No solution. Update: PhilBobb was dead on the money: The problem he noted is the same as mine, machining and casting errors on the motor bracket and main trunion cause a varying interference between the trunion and bracket as the blade is raised or lowered. This causes the blade motor bracket and arbor to skew as the bracket rotates on the main pivot pin that connects those two. If anyone is interested in the fix, I’ll start another post in the Tools section showing the details. It’s an ambitious project! I bought mine about 2 months ago. I haven’t had a problem at all. I do admit that it is quite heavy. I almost had a cow picking it up to put it up right, should of had some help. But every time I check the allinment it dead on runs quite and roll around real smooth. As far as the on off switch. It’s moveable, I would move it to where its far out enough on the rail to not be bumped easly, but can still be turned off with you leg or knee. In the early 70’s I too bought a craftsman table saw that I could not align. The resulting kick backs convinced me to give up on it for safeties sake. I have not bought a Craftsman power tool since. I wish you good luck and I hope this resolves to your satisfaction. 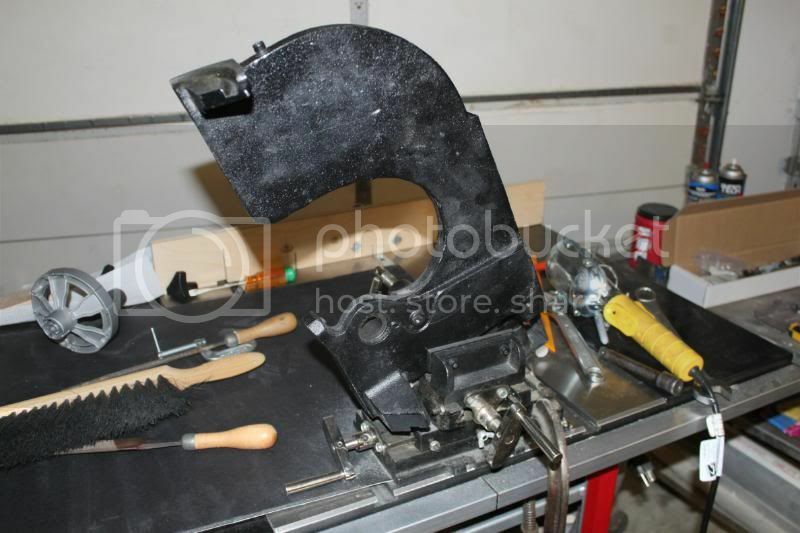 smitty22: Thanks for the comments on the alignment problems with the saw. I too am having alignment problems when I raise and lower the blade. I thought it was a rip fence problem, but every time I brought the blade to its highest position, it was in perfect alignment… until I lowered the blade a little, then I saw it was way off. The idea of lugging the thing out of my basement and having Sears send another one is just a miserable thought. How did you end up fixing it? 1. Drop the the motor to free up the main trunion assembly. 2. Remove the trunion assembly. 3. Machine the motor/arbor support structure to provide clearance between it and the main trunion assy. 4. File or machine the excess web casting from the main trunion. 4. Shim the motor arbor support so that the edge of the lower spur gear area rides on the main trunion boss/bearing area. 5. Reassemble the whole thing. IMO, would have been easier to take it back, but no guarantee that it would have been fixed right, so I just did it meself! Best of luck with yours. Well, the table saw is all back together but the news is not good. The blade slewing as height adjusted is still there. not nearly as bad at the highest position but still unacceptable. Blade stays reasonably straight up to about 2” blade height, so it’s at least useable for 90 deg cuts of up to 2×4’s. I’m speculating that machining of the motor/arbor trunion pivot or other bearing surfaces is involved, but that will remain a mystery. Sorry I couldn’t come up with a solution for others with the same problem. smitty22, I’m sorry it didn’t entirely work out, but thank you for your detailed description of your fix. I decided after reading the steps you posted that it was not worth it for to try to fix it myself. So I’m returning it and have Sears coming to pick up the saw tomorrow. Thankfully they said they will refund the entire amount I paid, and will not charge for pickup. I did need to take off the motor and trunnions to get the thing into the basement, so hopefully Sears will help me get the pile of steel out of the basement now. I saw the 21833 isn’t listed on Sears.com any longer. Maybe they noticed all of the problems too and decided to pull it. The saw has a lot of good features, but if it can’t cut straight, its not worth anything. I decided to go for the Grizzly G0438RL saw instead. It is about $200 more than the 21833, but I think it will be well worth it. gbook, sounds like a good move, best of luck with the Grizzly! so I decided to get the 22116 with the granite top and biesemeyer-style fence because it was only $662 and seemed like a decent machine. First 22116 to arrive was damaged in shipping so i refused it. Second 22116 is due any time now. 22116 seems like a good saw for the money, i guess time will tell. I wouldnt buy the 21833 again no matter the price. Hope the 22116 works out well for you.